Any person responsible for paying any income chargeable under the head “Salaries” is required to deduct tax at source on the amount payable. Tax is to be calculated at the rates prescribed for the financial year in which the payment to employees is made. The person responsible for paying the salary may, at the time of deducting tax at source, increase or decrease, the amount to be deducted for the purpose of adjusting any previous deficiency or excess deduction. Any person responsible for paying any income chargeable under the head 'salaries' shall at the time of payment, deduct income-tax on the estimated income of the employee under the head "Salaries" for that financial year. The tax is to be deducted at the average of income-tax computed on the basis of the rates in force for the financial year in which the payment is made. No tax is required to be deducted at source unless the estimated salary exceeds the amount not chargeable to tax. This rule is applicable even if the employee does not have PAN. Name, address and permanent account number of the landlord/ landlords where the aggregate rent paid during the previous year exceeds rupees one lakh (Rs. 1,00,000). 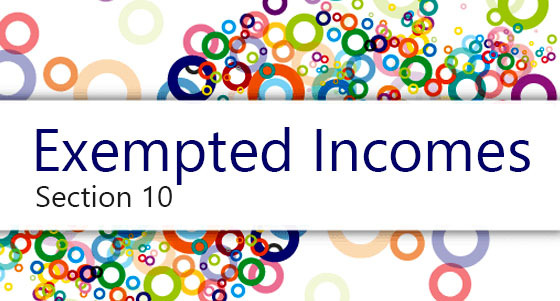 Deduction of interest under the head “Income from house property”. Name, address and permanent account number of the lender. 4 Deduction under Chapter VI-A Evidence of Investment or Expenditures. In the case of "Salaries", the liability to deduct tax arises only at the time of payment. There is no question of tax deduction in cases where the employees' account is credited with the salary due to him, which for some reason or other was not paid. he may furnish to the employer of his choice or the subsequent employer (as the case may be) such details of salaries due or received by him from other employer(s), the tax deducted at source therefrom and such other particulars as may be prescribed, in Form No. 12B [Rule 26A(1)]. In this case, the employer, so chosen, shall take into account these details while making deduction of tax at source. and if he is entitled to relief under section 89, he may furnish to his employer such particulars in Form No. 10E. The employer then, shall compute the relief on the basis of such particulars and take them into account while making tax deduction at source. No relief under section 89 shall be granted in respect of amount received or receivable by an assessee on his voluntary retirement or termination of his service, if the assessee has claimed exemption under section 10(10C). Where an employee also has any income (not being a loss) for the same financial year, chargeable under any other head, he may furnish the statement of such other income and any tax deducted thereon to his employer to take them into consideration while deducting tax from his salary. However, the resultant tax deductible at source cannot be less than the amount that would have been deductible if such other income and tax deducted thereon had not been taken into account. Although, as stated above, the statement for the loss under any other head cannot be furnished but a statement of loss under the head income from house property can be furnished. If the employee incurring the loss from house property furnishes the abovesaid statement of such loss to the employer, the resultant tax deductible at source can be less than the amount that would have been deductible if such loss had not been taken into account. It may be noted that w.e.f. assessment year 2018-19 (i.e. financial year 2017-18), loss under the head "income from house property" shall be allowed to be set off from salary and other head of income subject to maximum of Rs. 2,00,000. In case, the assessee does not wish to furnish particulars of his income under other heads to his employer then he has to estimate his total taxable income under the different heads of income during the previous year and pay tax thereon during the financial year itself (after excluding the tax deductible at source) by the due date specified under the Income-tax Act. These payments are called 'Advance tax Payments'. A person responsible for paying any income chargeable under the head "Salaries" shall furnish to the person to whom such payment is made, a statement giving correct and complete particulars of perquisites or profits in lieu of salary provided to him and the value thereof in Form No. 12BA alongwith Form No. 16 issued by the employer. Form 12BA alongwith Form 16, as issued by the employer are required to be produced on demand before the Assessing Officer in terms of section 139C of the Income Tax Act. Salary for this purpose shall have the same meaning as is given in rule 3 for valuation of rent free accommodation. The person responsible for making the payment of salary shall, for the purposes of estimating income of the assessee or computing tax deductible from salary, obtain from the assessee the evidence or proof or particulars of prescribed claims (including claim for set-off of loss) under the provisions of the Act in such form and manner as may be prescribed. The person responsible for making the payment may, at the time of making any deduction of tax, increase or reduce the amount to be deducted under this section for the purpose of adjusting any excess or deficiency arising out of any previous deduction or failure to deduct during the financial year. If any tax has been deducted in excess in the earlier months, the employer is authorised to adjust such excess in the subsequent months. On the other, if the employer has deducted less tax in the earlier months, he will have to make higher deduction in the subsequent months. The above adjustment is permissible only in respect of same employee and not for all employees. Controversy normally arises when such variation is adjusted in last quarter or last month. The trustees of a recognized provident fund, or any person authorised by the regulations of the fund to make payment of accumulated balances due to employees, shall, in cases where payment from recognised provident fund is taxable, at the time an accumulated balance due to an employee is paid, deduct therefrom the amount of tax payable on the taxable portion of such amount. Where any contributions made by an employer, including interest on contributions, if any, are paid to an employee during his lifetime, in circumstances other than those referred to in section 10(13), tax on the amounts so paid shall be deducted at the average rate of tax at which the employee was liable to tax during the preceding three years or during the period, if less than three years, when he was a member of the fund, and shall be paid by the trustees to the credit of the Central Government within the prescribed time and in such manner as the Board may direct. In this case, as per rule 33, the trustees of the approved superannuation fund shall send within two months from the end of the financial year, to the Assessing Officer, a statement giving particulars as required under the abovesaid rule. The assessee to whom the salary is payable may make an application in Form No. 13 to the Assessing Officer and if the Assessing Officer is satisfied that the total income of the recipient justifies the deduction of income tax at any lower rate or no deduction of income-tax, he may give such certificate as may be appropriate. Where such certificate is given, it will be valid for the assessment year to be specified in the certificate and the person responsible for paying the salary, until such certificate is cancelled by the Assessing Officer, deduct income-tax at the rate specified in such certificate or deduct no tax, as the case may be. As per section 206AA(4), no certificate under section 197 shall be granted unless the application made in Form No. 13 under that section contains the Permanent Account Number of the applicant. Tax is to be deducted by the trustees of Employees’ Provident Fund Scheme, 1952 or any other person authorised under the scheme to make payment of accumulated sum to employees. - If the employee has been terminated because of certain reasons which are beyond his control (e.g., ill health of the employee, discontinuation of business by employer, completion of project for which the employee was employed, etc.). - If the employee has resigned before completion of 5 years but he joins another employer (who maintains recognized provident fund and provident fund money with the current employer is transferred to the new employer). - If the entire balance standing to the credit of the employee is transferred to his account under a pension scheme referred to in section 80CCD and notified by the Central Government (i.e., NPS). Out of the lump sum payment, only amount includible in the total income of the employee is subject to tax deduction at source. Tax is deductible at the time of payment. Tax is deductible under section 192A at the rate of 10 % (no surcharge/education cess if recipient is resident, surcharge/education cess applicable if recipient is non-resident) of “taxable premature withdrawal”. 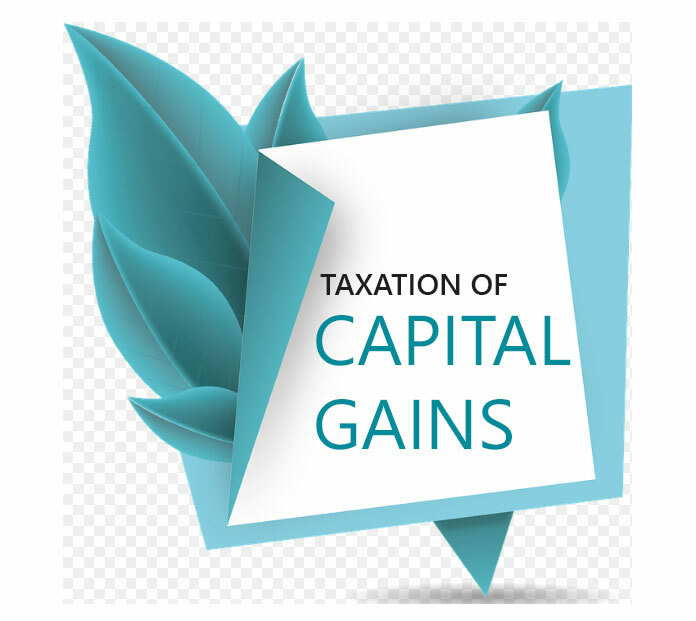 If PAN of the recipient is not available, tax is deductible at the maximum marginal rate of tax (i.e., 35.88 % for the financial year 2018-19). Tax is not deductible if “taxable premature withdrawal” is less than Rs. 50,000. Lower TDS certificate under section 197 is not possible. The recipient can give a declaration in Form No. 15G to the effect that his total income including taxable premature withdrawal from provident fund does not exceed the maximum amount not chargeable to tax and on furnishing of such declaration, no tax will be deducted. Similar facility of filing self-declaration in Form No. 15H for non-deduction of tax under section 197A is available to a senior citizen receiving pre-mature withdrawal. TDS rates chart for income tax on select categories for the financial year 2018-2019 (A.Y. 2019-20) are listed below. These rates are applicable for resident Indians.